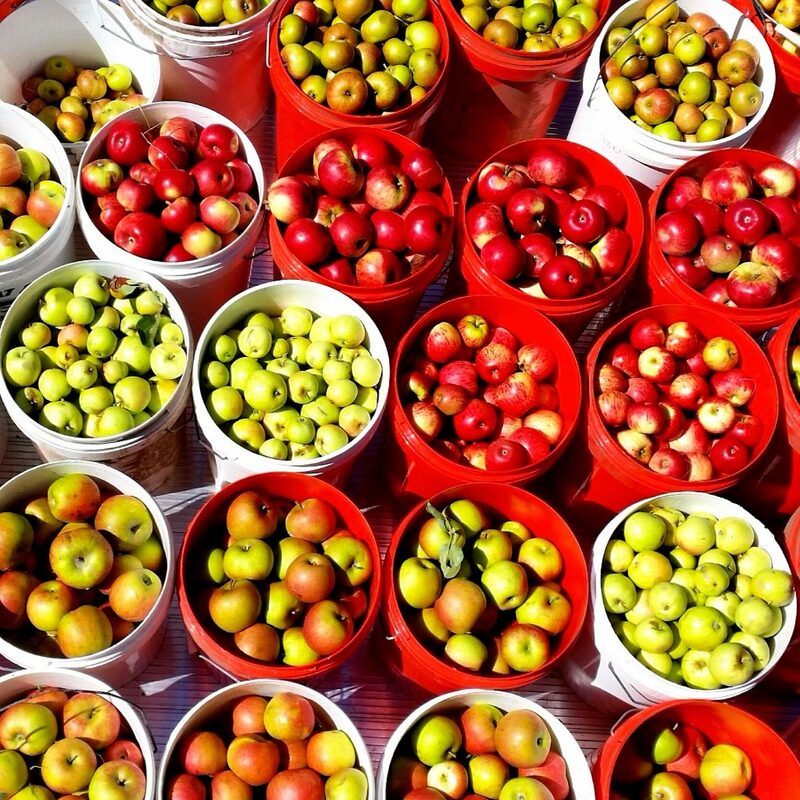 When I was a child, my father had a hobby orchard of around sixty heirloom apple varieties. Over the years, he had got hold of these varieties from the local department of agriculture and grafted them on to his trees, sometimes grafting a collection of varieties onto the same tree. So, my brothers and I were introduced to the different colours, shapes, sizes and most importantly, flavours and aromas that the world of heirloom apple varieties has to offer. It wasn’t until years later that, my (now) wife introduced me to traditional French farmhouse cider of her homeland in Brittany. As a passionate wine drinker, I was immediately blown away by the fruit aroma, intensity, and in particular, the amazing drying tannin structure of these both sweet and savoury ciders. It took me straight back to the times when my father would flick me a piece of strangely shaped and deliciously aromatic apple and tell me what variety it was while he chopped them up for the week’s stewed apples. So how is it that the traditional French ciders have so much drying tannin structure that balances their richly sweet fruit profile? As I learnt from our family trips back to French cider country, it turns out that, just like wine grapes, there are specific varieties of apple that have been selected over the years only for use in cider. Like wine grapes, cider apples have attributes that are purely applicable to the cider blend, and also, commonly not so great to eat fresh. In fact, French farmhouse cider is almost solely made of cider apple varieties. Traditional cider apples are generally classed into four different classes: bitter-sweet, bitter-sharp, sharp, and sweet. While French traditional cider blends tend to be dominated by bittersweet varieties, their English counterparts from Somerset and Herefordshire lean a little more towards bittersharp apples, and are a commonly drier and sharper. Some of these Old World blends may have more than seventy different varieties in them, and are consequently incredibly complex and multilayered. So what does this mean for Australian cider? It may be a surprise to find out that the vast majority of cider consumed in Australia is made from imported apple juice concentrate, which has been mixed with sugar and diluted prior to fermentation. The remainder of the ciders made in Australia are made mostly, and necessarily, out of locally grown culinary apples, because we do not have the vast multi-generational orchards of cider apples that the Old World has inherited from its forebears. While many great ciders are carefully crafted from culinary apples in Australia, those of us that our are enchanted by the deep flavours and textures of the old world ciders have been slowly acquiring, grafting, planting and growing the Old World cider varieties in our orchards. At the same time we have been doggedly learning the old world cider making techniques that are required to fully express the rich potential of these varieties in the final blend. Led by the early pioneers of the Australian craft cider industry, such as the late Drew Henry of Henry of Harcourts and Clive Crossley of Red Sails, who have been making truly great ciders over the years, there is now a growing resurgence in real craft cider that is fully focussed on making cider from traditional cider apple varieties. Whether used to make single varietal ciders, cider apple varietal blends, or blended with high quality culinary apples, cider apples are now recognised as the benchmark for quality ciders in Australia and as such, we are seeing a proliferation in these premium craft ciders in Australia. So next time, when you see mention of a variety such as Frequin Rouge, Michelin, Kingston Black, Sommerset Red Streak, or Improved Foxwhelp on a cider label, prepare yourself for something special and give it a go! The seed for Tim’s passion for great cider was planted early in his childhood by his father, who introduced him to the amazing range of flavours and aromas of heritage apple varieties. On meeting his French wife Sophie, who comes from the acclaimed cider region of Brittany in Northern France, he was introduced to old world traditional cider. He finished his PhD in plant genetics, and followed his professional career with CSIRO in grapevine breeding research, then operations management in the viticulture and wine industry with one of Australia’s oldest family owned businesses Yalumba. 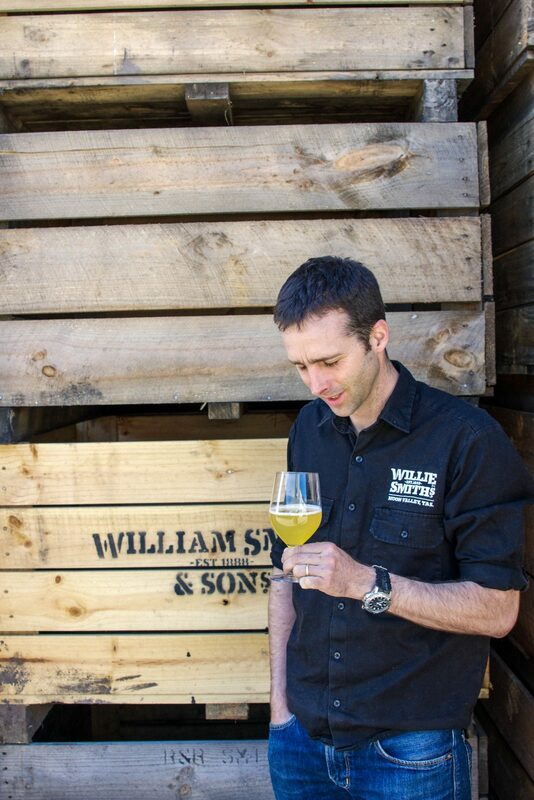 Tim then returned to Tasmania with his young family where he started a role managing cider production at Cascade Brewery whilst also following follow his passion for traditionally made cider by planting his own old French and English cider apple varieties and experimenting with making his own ciders. In 2014 Tim joined Willie Smith’s and has since then been fully immersed in developing and taking traditionally styled ciders (not to mention apple spirits and organic apple cider vinegar) to the Australian market.